The IMF World Economic Outlook produced a long-term real price chart of commodities by sector since the 1970's. Energy has been the most volatile sector and has seen the greatest increases in real returns. The global economy runs on oil and refined products. There has not been enough innovation in the energy area. There may also be a lac of investment especially by state companies that control most of the oil. 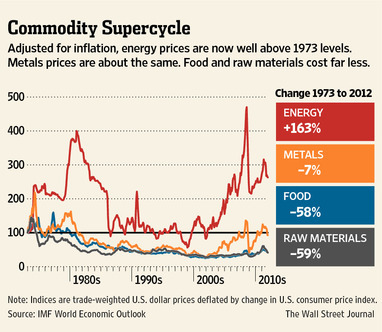 Metals have seen a strong gain in the last decade but real prices have not changed since 1970. The metals sector includes gold where demand has been driven by inflation expectations and the fear of fiat money. Food and raw materials have been on a slow slide since 1970. This is the area which may have seen the most innovation. New genetic seeds have been a boon to the farm sector and has helped to make food cheaper to many in poverty. The super cycle has really just been a big explosion in energy prices and to a lesser extent metals. China purchased 1.472 mmt of corn, one of the biggest purchases in this market. It is beginning to feel like the 1970's when Russia needed wheat. Exports shot up and many were caught off-guard by the purchases. 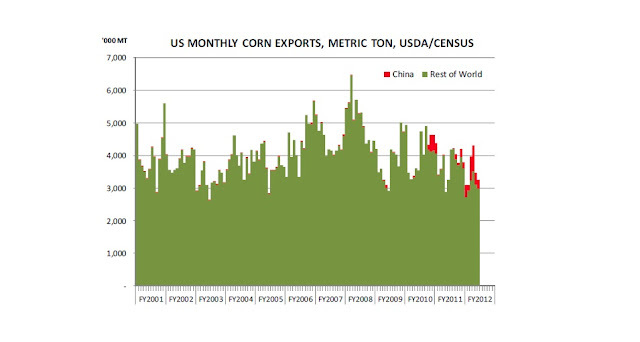 China has moved from a corn exporter to an importer. China is one of the largest growers of corn, representing 20%+ of the total. 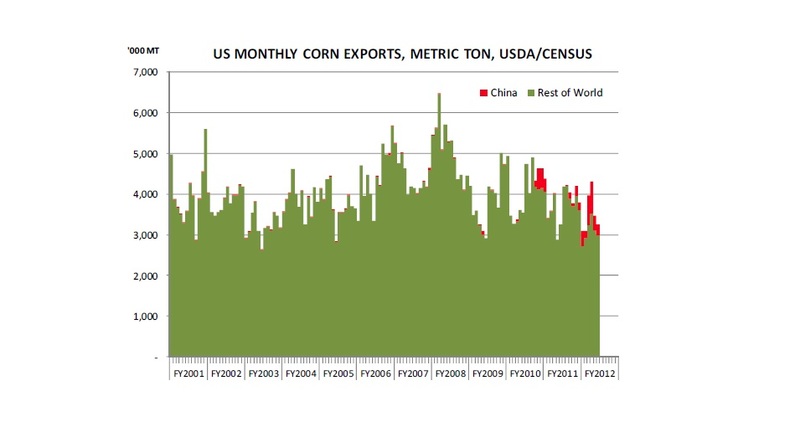 If China has a problem, there will be a spike in corn pries.There is an expectation that they will increase corn production by over 17% but any shortfall will not allow it to meet consumer demand. No one wants to make mistakes, so clients will often choose the biggest managers who have had success displayed in the news. This can be a significant hindrance to success. These are my favorite haunts, because this is home, where the subtle matters, and the spectacular distracts. Somehow this quote from the end of his book stirred me to believe that this is the pace where a great analyst and investors wants to be. The analysts who are able to see and focus on the subtle and move away from the headlines will be the ones who will be most successful. The footnotes in financials are what matters. The quotes from competitors are critical. The breakdown or bottom-up work on supply and demand will make all the difference in the world. Talking about macro risks and what was in the news or what the talking heads had to say on a topic will not win the day. The micro data should be the home of the investment analyst. From Dance with Chance - a view on the types of decisions and the ways of making them. There are two types of decisions and four ways of making them. There are repetitive decisions and unique ones. Repetitive decisions are ones that are made often. The path you take to work in the morning. What you have for breakfast. Your choice of suits. Then there are one-off decisions. Hopefully, the person you will marry. The house you may buy. There are four ways of making decisions. Some of the most obvious include blinking and thinking. Blinking decisions are those that are done almost unconsciously. They are simple gut reactions. Thinking decisions are those that are made in a deliberate process. A third way of making decisions would be smirking. You use simple models for your thinking. This type would be a rule-based decision process. If traffic is heavy on the freeway, switch to surface roads. The final method is to have someone else, an expert, provide input on the decision. Call for advice. The trouble occurs when the method of making the decision does not match the decision type. If you think about every repetitive decision, you will not get anything done. If you use your gut to make complex decisions, you are likely to make a mistake. Matching the way of thinking to the type of decision is critical for success. The real trouble with the world of our is not that it is unreasonable world, nor even that it is a reasonable one. The commonest kind of trouble is that it is nearly reasonable, but not quite. Life is not an illogicality, yet it is a trap for logicians, It looks a little more mathematical and regular than it is, its exactitude is obvious, but its inexactitude is hidden, its wildness lies in wait. This may be one of the best quotes on uncertainty. I found it in Dance with Chance. For the modeler, the problem is that there is not enough certainty in model structure and explanation. For the discretionary trader, story-telling just does not seem to fit the facts for any given event. "(It) is simple: we are opportunistic. If there is an opportunity in France, we will go to France. If there is an opportunity in Rwanda, we will go to Rwanda. "We have no asset allocation or geographic allocation. After the financial crisis, all that went in the garbage. Today, it is very difficult for us to see forward. We cannot see more than three months forward." In short, as SWFs (and other long-term investors) grow increasingly disenfranchised with the high costs, low returns and misaligned interests embedded in the traditional, western institutions of finance, SWFs may evolve towards new methods and mechanisms for deploying capital. This is an interesting piece on how not just SWF but all major endowments may behave if they have a broad mandate. Cause a stampede -say "Mad Cow"
The easiest way to get a major move in the cattle futures is to announce, "Mad cow." You don't have to say much more and the market will react with sell orders. There can be a reversal if the news proves wrong, but there is an emotional reaction which is primal. 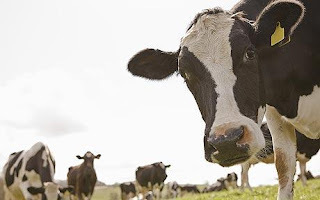 The USDA randomly tests only 40,000 cows, .1% of the entire herd. In this case, one cow in California turned up with the disease. The market has rebounded slightly on more detailed information on the announcement. Ian Bremmer and Nouriel Roubini wrote, "We are now living in a G-zero world." No single country or block of countries have dominant power to set an international agenda. The G-7 does not make sense. The world is no longer euro-centric or western-centric. The G20 also does not make sense. The world is becoming more fragmented. The power weightings are not equally distributed among the 20. We are living in a world were no one is truly dominant. This means that very important economic decision will have to be based on multi-lateralism. Unfortunately, you will not get agreement under this type of world. This inability to form a dominant world order has negative implications for risk premia in financial markets. It is less likely that we will have coordinated regulation around the world. It will be less likely that we can agree on forms of bail-out in a crisis. Systemic risk will not be able to be addressed through a G-0 environment. This makes the world a riskier place. Games Primates Play: An undercover investigation of the evolution and economics of human relationships by Dario Maestripieri. If you are interested in in behavioral finance, you should read this work on evolutionary development. We are not that far from our primate brothers. Humans engage in dominance behavior like primates. Some try and become the alpha being. As such, there is social climbing of the ladder. Humans will engage in nepotism no different than primates. We will engage in cooperative behavior similar to primates. 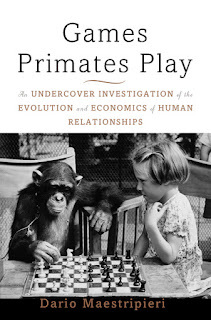 While the link with trading is not direct, we have to accept our primate root and our human relationships are not that different than our primate cousins. Is the Fed doing a good job? One of the simplest measures is to see whether they are hitting their targets for inflation. We know there will always be some error with any forecast. 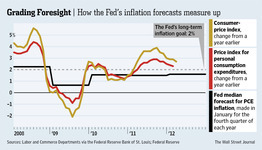 We also know that the Fed's inflation forecast is for the longer-run. We should no put much stock in the short-run value. Still, the Fed is over its forecast number. While the Fed has clearly stated that it will not tighten soon, it is less clear whether there will be more quantitative easing. There are two important questions that have to be answered. How much slack is there in the economy? This is a more complex question. There is still a large output gap but it is clear that some of the capital utilization may be understated. Labor markets are starting to tighten for key sectors of the economy. The youth, the under-educated, and the old will have a difficult time finding work, but if you have key skills, the employment prospects are improving. If you believe that productivity gains will be limited, then we may have a floor on inflation. The chance of deflation is reduced. The 2009 environment is not likely. Given a slow decline to 2%, there is some room for more easing, but it will not happen until we get the inflation rate below the target level. Michael Moran coined the phrase "post-American hedge" in his book The Reckoning to describe how regional partners now treat the US. This is an interesting description but apt description of our partners in the 21st century. Some countries want to have the US as a protective umbrella but they also want to go out and make their own regional arrangements. The hedge is a form of independence which the US will have to accept. This hedge policy could be based on a number of factors. One, other countries do not trust the US. They do not believe that the US will live up to their commitments to other countries. Two, they do not believe that the US has to power to dominant discussions in other parts of the world. It could be either hard or soft power, but there is the belief that the US does not have the power necessary to make policy stick. Third, countries could believe that their interests are not aligned with the US. Policies across countries differ and if they belief they have enough power to assert their views in regional and global decisions they may follow a unique course. In the economic area, this type of post-American hedge is seen in regional trade arrangements and international finance. If there is not a dominant power in trade and finance, there is less likely to be global arrangements which standardize terms and conditions for trade and finance. This ultimately will lead to more mercantilistic policies. While there are problems with a dominant hegemony, regionalism caused by diplomatic hedging could we worse for the global economy. There will be improvement in some regional trade arrangements, but bilateral power structures will lead to unique deals which cannot transfer across countries. The current state of the art in risk management focuses on describing the types of uncertainty that exist or are faced. At a very abstract level, markets deal with two types of uncertainty and risks, those that are measurable and those that are truly uncertain and cannot be clearly measured. Put differently, the two major types of uncertainty can be described through analogies with subways or coconuts. Subway uncertainties are predictable in the sense that we can form a distribution on the arrival time of any given train. There is a countable level of predictability about when the next train will arrive according to its schedule. Sample enough subway trains and we will have a good idea of on-time performance. Still, there are no guarantees and sometimes the train will be late or early, but you know what to expect within a set of bounds given this performance history. You can plan based on this predictability of variance. However, life is not that simple. There are many events where you cannot form a distribution. 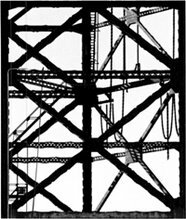 You can imagine the event, but there is not any well-defined structure that creates predictability. The events are not countable in any meaningful manner. For example, coconuts are known to fall from trees, yet it is almost impossible to determine when or where they will fall. There is no predictability to these events, yet if you are standing under the tree at the wrong time the effects can be clearly harmful. You can make plans on the risk of subway times; you cannot do the same for coconuts. The types of risks have to be categorized and then portfolios have to be adjusted to the events which we may face. The differences between risk and uncertainty has been an ongoing discussion since the time of Keynes and Frank Knight. Risk is measurable and can be counted or form a clear distribution. Uncertainty may not be given an objective distribution and is more subjectively measured. This subway/coconut analogy was developed by Spyros Makridakis, Robin Hogarth, and Anil Gaba, three leading experts on decision sciences in their book, Dance with Chance: Making Luck Work for You. The book is a very accessible and practical read on how to deal with risk and uncertainty based on the current decision science research. With increases in oil market price uncertainty, government policies and company behavior adapts to the environment. One important change in behavior is increased hoarding or stockpiling of oil. If there is a fear of stock-outs, then you will hold more in inventory. Additionally, if interest rates are low, the cost of stockpiling is less. There is no penalty of being wrong, except for price moves, if rates are low. There is a classic precautionary motive for holding an asset. This hoarding done on an international scale will also lead to a tightening of the oil market. China is supposed to be adding to their stockpile at between 250,00-500,000 b/d. They have added 100 mmb in reserve through 2009 in phase 1 of a build-up. There is supposed to be another 170 mmb build by 2013 and further inventory goals in the future. The exact amounts are state secrets. We will see companies add to their stockpiles. This will keep prices firm in the oil market. Obviously, if there is an economic slowdown or less global tensions, demand will slow and inventory build will increase faster and there will be less precautionary motive. Nevertheless, strategic hoarding is rational and normal for governments and companies. Everyone has been arguing about the Keystone pipeline, but the oil business goes on. Money will find the path of least resistance and oil means money. Kinder Morgan said it will begin an expansion of its Trans Mountain pipeline from Edmonton to Vancouver to ship oil to the Far East. The origin will be the same region which was supposed to be the beginning of the Keystone pipeline, the Canadian oil sands. The volume on this expansive would increase from 300,000 to 850,000 barrels a day. Enbridge is planning a similar pipeline. Both of these pipeline will not be ready by 2017 but it will change the dynamics of oil in North America. In 2011, only 1.65% of Canadian exports went to a destination other than the US. The Canadian are sending a strong signal. If you do not want our oil, we will sell it to someone else. Argentina's nationalization - " I am not a thug"
“Companies that operate in Argentina, even when their shareholders are foreign, are Argentine companies. 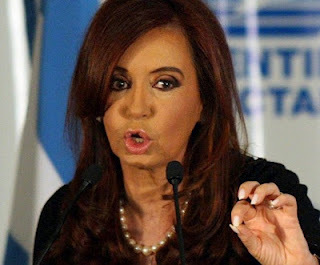 Don’t anyone forget that,” Kirchner said Monday. She felt it necessary to add, “I’m the head of state, not a thug,” even if her seizure of YPF suggests otherwise. This is a key reason why you do not want to own companies and should prefer commodities. Argentina is also now taking over YPF Gas. Argentina is now looking for partners to develop their "new oilfields. You want them as your friend? You want to get your antennas up when key government officials offer opinions on important policy matters. The government wants oil and gasoline prices to decline. 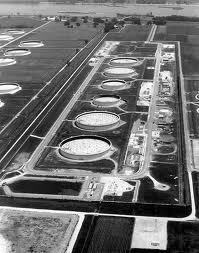 They would love to use the strategic petroleum reserve as a tool to break prices before the election. Austan Goolsbee wrote an editorial in the WSJ a few days ago that states that we have too much oil in the reserve. The point was to argue that we should draw it down because it dos not makes sense to hold such a large strategic inventory. This is the trial balloon on releasing oil. How much is enough? Oil crises have not last very long, but what if there is a major disruption in the oil market. Unrest in Saudi Arabia is a likely source. The Iran nuclear issue is another more immediate issue that can take some strange turns. Let's not kid ourselves, even though the SPR is at its highest levels we still need a full tank. It is at 96% capacity and has more than 100 days of reserves. The norm has been around 75 to 80 days worth of imports. This is not a money issue but a strategic issue. The rest of the OECD world does not have a SPR. They hold inventory but not the same as with the US reserve. Let's keep capacity where it is and move forward. The PBC announced that there would be a widening in the range of yuan trading, but it dos not seem to have showed up in the volatility measures. Volatility has grown from Chinese new years lows, but you would be hard pressed to see anything different in yuan behavior. Chart information shows increases in daily ranges starting in mid-March, but without the announcement you may not have caught a policy change. Option volatility has hit the lowest levels in a year. China has a five-year plan to increase currency convertibility. With wider bands, there should be less demand by the rest of the world to change the value of the yuan. In fact, if the bands are wider and there is less movement it would suggest the yuan is at its equilibrium level. The yuan is still on the move to take a major lead in international finance. It will take time but it is coming. 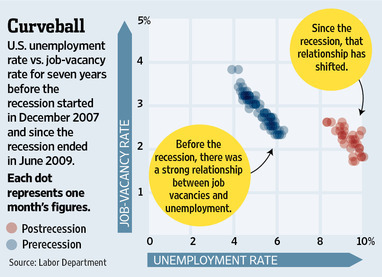 There is a well-known trade-off between job vacancy rates and unemployment. When vacancies go up there usually is a lower unemployment rate. This makes simple sense. When more of the labor force is employed or the economy is doing well, there will be greater demand for labor as evidenced by employer having a harder time filling jobs. The WSJ 4/11/12 provides a good chart of the the change n this trade-off. It seems to have shifted right. There is a higher unemployment for the same vacancy rate. There is two Americas. There is one where workers have skills and firms are looking for educated workers and the other America of longer-term unemployment for those who do not have an education or skills. This is the class divide in America. We can have tighter labor markets with higher unemployment. This is the problem that has not been fixed. The labor market will not serve as a good estimate of economic activity if this continues. The latest portfolio from one of the world's best pension funds, Ontario Teachers, shows there is a true focus on real assets and inflation protection. If we add real-rate products, commodities and timberland, there is an allocation of $37.1 billion out of $116.3 billion. Think about it, 32% of the entire portfolio may be associated with inflation protection. This is up over the previous year which saw an allocation of $30.6 billion or 29%. The OTPP will classify real assets as real estate, infrastructure and timberland, but we focus on the assets which are more closely aligned with inflation protection. 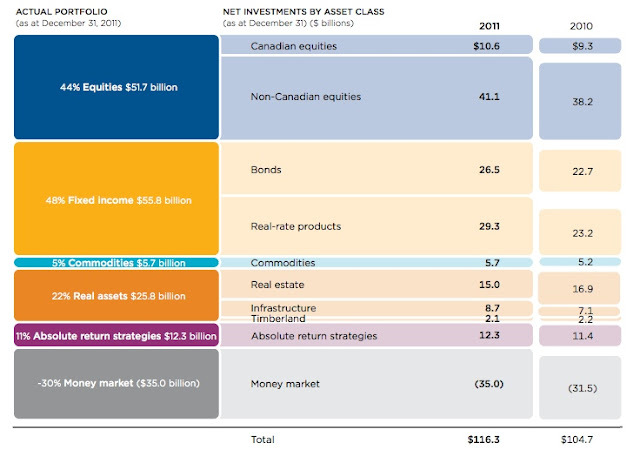 Even if you use there definition and add commodities, the real asset/commodity exposure is 27%. This is still much higher than what you will see in many investment portfolios. Smart money is moving into inflation protection. The president wants Congress to increase penalties for market manipulation and empower regulators to increase the amount of money energy traders are required to put behind their transactions. "Congress should do all of this right away," the president said Tuesday during a White House speech in the Rose Garden. Obama said the plan would put "more cops on the street" to catch speculators who attempt to manipulate markets for their own profit. He also chastised Congress for recently voting against ending tax breaks to U.S. oil companies and said passing his proposal would help members redeem themselves. It is an election year, so candidates have to find villains. In this case, the villains are oil speculators. The high price of oil, similar to research in 2008, is associated with the workings of supply and demand. It is a global energy market and the price of oil is determined by demand outside the US as well as inside. In fact, the price of Brent oil is much higher than WTI. The price for refiners in the Mid-continent is much lower than in other parts of the world. Is this manipulation? Is it manipulation if there are refinery shutdowns in the Northeast which pushes up the price of gasoline? Is it manipulation if there is reversal of oil pipelines to bring oil to the Gulf coast for export? Is it manipulation when there is geopolitical risks in the Middle East or thee is productions shutdown in the North Sea? There is a need for review and regulation of speculations but that issues may have nothing to do with the price of oil or gasoline in the current environment. Variance drain is a fact of life that cannot be avoided. It is one of the reasons why higher volatility managers will have lower information ratios. The drain in performance dampens returns and cuts the numerator of the information ratio. Reinhart and Rogoff, "considering the huge and rising debt levels in the US, and the very limited extent to which deleveraging has taken place in the household and government sectors, we would be pretty happy to see a few straight years of trend growth, even if its falls short of the V-shaped recovery that some see around the corner." The economics of delevering are not easy to shake. It is amazing that there is such excitement about the recovery when we are still below trend growth. It is unlikely that growth will rise until there is further improvement of consumer balance sheets. Trust is critical to money and finance. The Fed and the government have to ensure that there is trust in the central bank to maintain purchasing power and that regulation will maintain a safe environment. However, since regulation cannot be made to protect against all situations, trust is needed between parties. There has to be trust in banks that they will protect assets and provide immediate liquidity. There has to be trust in purchasing power. With all of the political issues in the news, has trust really increased since the Great Recession? I don't think so. This hilarious poster has a serious side. 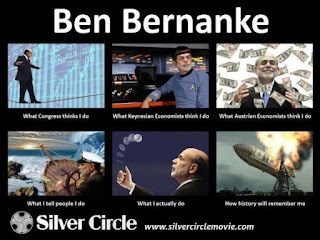 Many investors impose a specific view of Ben Bernanke on their thinking. Some view him as the great ship captain through troubled waters, other have the view that he is a high wire act. These views bias their perception of monetary policy. These biases can lead to bad investment decisions. There has been a significant focus on 7.5% growth in China. The commodity markets have sold-off based on the 7.5% solution form the Chinese government. There is also the fear that if China does not hit the 7.5% growth solution there will be a significant sell-off in global markets. After hearing about the 7.5% solution from China enough times, the number started to stick in my mind and have me harken to the book, The Seven Percent Solution by Nicholas Meyer. 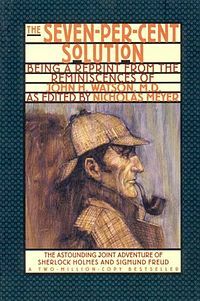 The book's main character, Sherlock Holmes, has a cocaine addition which he must get over to return to his former self. The global economy may be addicted to high China growth and a seven percent solution is not going to get markets over the current malaise. The China growth focus will be a recurring story for investors and may be as important as the trend line problem with US growth. China central Banker Zhou, "(Fed) may have more responsibility not only to consider the US economy but also the global economy." This responsibility issue has been recurring theme with the Chinese. However, it is less clear what that should mean. With the yuan tied closely to the dollar and the Chinese currency not freely floating and with tight capital restrictions, the Chinese will import inflation from the US. However, without the aggressive easing of the Fed, the global economy will be in worse shape. The value of Treasury holdings will fall if there is a dollar depreciation, but US growth is what the emerging markets would like at this time. Of course, the issue is balance and at this time the Bank of China does not want the US to forget balance. Who is not uncomfortable with doubt and uncertainty but we never trust the person who is overly confident in the certainty. This seems to be the original quote that is the basis for the Donald Rumsfeld comment of knowns known.